When one thinks of the most prestigious management consulting company in the world, one thinks of the firm McKinsey & Co. It’s practically impossible to get in, with their difficult situational interviews and consensus driven philosophy. They easily pay their fresh undergraduates $80,000 and MBA hires $200,000+ after their first year, which results in one of the reasons why McKinsey is perennially ranked a Top 10 most desirable places to work. Many McKinsey employees move on to work for their clients, and a great many of them end up rising to C-level executives as well. McKinsey & Co is run by Clock Builders. The organization is structured so that if one of the leaders moves on, the firm’s direction and organization carries on seamlessly. The people of McKinsey & Co. are all driven by the same ideals, while possessing the same zeal to get things done in an honorable way. Wealth is spread broadly across the entire organization so that as many people can flourish as possible. Apple is likely one of the greatest success stories over the past decade. How could it not be, from almost bust to now possessing a market cap of over $230 billion dollars! I’ve got a Macbook and an iPhone and will probably be a Mac user for life now. They’ve got me, and they’ve got many of you good too. With brilliant marketing, and products that are aesthetically pleasing and simple to use, there’s little doubt Apple will continue to succeed, or will it? Imagine one day Steve Jobs leaves Apple. He doesn’t even have the ability to be a part-time consultant. He’s shut out, doing something else. What do you think would happen to Apple Computer’s share price as a result? I’d bet my bottom dollar the stock would correct by over 10% on the news alone. So much of Apple is Steve Jobs, they are synonymous, and if you cut off the head the body may wither. Apple has done a less than ideal job at creating itself as a Clock Builder largely because Steve Jobs is so great. Can anybody name someone other than Steve Jobs who is a senior leader at Apple? Doubtful because they are Time Tellers and only a handful of people have benefited greatly from their rise. Meanwhile, nobody knows who runs McKinsey & Co, and that’s because it doesn’t really matter since anybody can run the firm! As I look around the Yakezie, what I see are Clock Builders. You are the people who embody the spirit of the Yakezie through your involvement and your tireless efforts to help others. The goal of creating this site has always been to allow for a platform of community where each of us is your greatest fan. “To try and always see the good in others,” is my 4th New Year’s resolution and I think that’s what’s happening here. If my plane goes down, there won’t even be a blip in the Yakezie because we’ve implemented good protocol, and injected a spirit that all of us subscribe to and strive for. We are all leaders on our respective sites as well as right here. We are going to make a difference. I know we are! Members and readers, what are some of your tips for effective leadership? What are some of the things you want to see more of from leaders? Can leadership skills be taught, or are people naturally the way they are? What about creating about creating a hybrid between a Clock builder and Time Teller for the Yakezie? Follow us on Twitter @Yakezie and subscribe to our RSS feed. 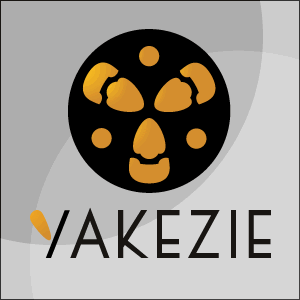 To see a list of fellow Yakezie Members and their latest posts, visit the Yakezie Network. I actually enjoyed Organizational Behavior and now I work in the Government, I use it every single day (unfortunately). To lead is to figure out what motivates each person and not treating them all as one single entity, a good leader knows what makes each person do the things they DON’T want to do. Thanks for the perspective. Yes, how to make people do what they don’t exactly love to do but must. Hopefully with the Yakezie, everybody will love to continue in their collaboration and support of others! Org Behavior coupled with Government is an oxymoron if there ever was one! The poor folks that work for the federal government work in such bland jobs that it literaly threatens their health over time. Innovation and inguenity for continuous improvement is heavily frowned on across the board. A good leader knows what to do in different situations. When to cajole, when to be humble, when to keep his/her mouth shut. I am looking forward to watching Yakezie grow and do good things! I think you are going to be pumped about our next initiative! Sam, I think you underestimate your impact a bit. The group would not be where it is if you were not the face of the Y. But I agree, we are definitely clock builders and that is a great thing! Thanks mate. Hopefully, Yakezie.com has developed, or is developing its own personality and image as a whole. I just want to be your biggest fans! This is a really interesting analysis Sam. I never took the time to think how McKinsey does not have any well-known people running the show as is the case with Apple. As good as Apple is, I definitely think it’s better for a business or company to be built up with Clock Builders for obvious reasons. It also helps with the overall productivity since everyone is such an integral part and has so much motivation. Leadership empowers others. Something you have done well in Yakezie. Interesting analogy. Like Car Neg Coach I agree Sam you are a massive part of the Yakezie at this stage and it’s benefitting hugely from your direction. I love the motivation talk though :). I would say I am more like a cloak fixer than a clock maker. I like going round helping out with day to day runnings and solving problems but am not much good at leading or rallying everyone together. We all have our purpose in this machine though! Being a Clock Fixer is integral and much appreciated mate! Everybody pitching in is such a great thing, and for that, we’re all grateful! Steve Jobs has an interesting relationship with Apple. Because I think it’s interesting to note that when he was CEO of “Next Computer”, it was a flop. So while I agree that Jobs is critical to Apple, just Jobs isn’t the total answer. I do think Jobs it the sharp point of the stick, but the loyalty of the Apple culture is important too. Hmm, it could be that what Jobs wanted 15 or so years back, the technology wasn’t invented to make what he wanted affordable, but now that it is, he is making the stuff that we all crave… and doing so at reasonably affordable prices. So I think in his case, the technology environment is there so he can really thrive! I’m sure the Apple culture is quite strong, especially now given how successful it is. There’s no denying Apple is an amazing organization. I just wonder what will happen to Apple if Steve no longer has the capacity to lead. McKinsey & Co is not a ubiquitous name like Apple, but I can assure people who’ve never heard of them, this is one strategy consulting firm you want to get into b/c of their culture, and their ability to really launch careers. Great take Sam; I think the success is the unity on goals. There’s not a lot of hand holding which is great. We all have different ways to promote one another and having that freedom to explore is motivating. Thanks. I’m pretty against hand holding, as we all have the ability to think and do what’s right on our own. The people I love the most are those who are self-starters and who don’t need to be told what to do at all! I would answer both. Some people are natural born leaders and others learn leadership skills later. Tim Cook is a pretty good leader at Apple. He ran the company when Jobs took his leave of absence before. Jobs is the visionary however. Apple will turn into Microsoft without Jobs. I think that the mark of a great leader is if the work he does can outlive him. I think effective leaders are people who find ways to help others be successful, and it requires a lot of self-sacrifice to help others succeed. It seems from your analogy like a CLOCK BUILDER company’s employees are composed of individual TIME TELLERS, while a TIME TELLER company only has one. I think a team of leaders is always better than a group of followers, as long as they all have a single-minded goal. I agree. If our goal is clear i.e. to selflessly help others by doing and giving, I believe that an organization is 1000X more powerful with numerous leaders. Well, I think for some people, leadership is innate. I have worked with many people, and a lot of individuals are very happy to be time-tellers. They don’t want to be accountable for as much, and they want to be home by 5:30 having dinner and watching tv. That is ok to a degree because you can’t have 20 chiefs and only 1 indian. When I think of the good leaders I have worked for, they are the people I truly believed in and had good principals. I knew they would take care of business like they needed to, but were also looking out for the employees. It wasn’t just ‘win win win’, they knew that they needed to keep the people somewhat happy in order to get desired results. The leader respects those that work for them, assuming they deserve the respect. 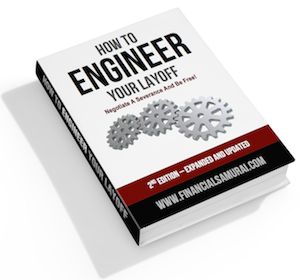 A Clock Builder will also always have a succession plan and have someone in mind to replace them. The clock builder probably has high career aspirations and never wants to be ‘too needed’ in that they would be prevented from moving on. I guess if I had to pick one, I would almost say truly good leaders are natural born, but I do think it can be taught too. Interesting perspective of never wanting to be “too needed”. I’ve never thought about it that way, and also wrt to higher career aspirations. Is it not common you think for a leader to be more selfless in stepping aside to allow other people to shine inspite of him or her? I have a close friend who went to school with Obama at Punahou. She mentioned that Obama was invisible at school and unpopular. Look what a couple decades of nurture has done for him as our President! I think you definitely have to always be positioned to ‘move on’. Sure, you have to be involved and important, but you can’t be an island and hoard all the info and just be a person of power. That isn’t good for the employees or the company. Some people have massive egos and do operate that way, but I don’t think of them as leaders. Ah yes, the good ‘ol credit stealers! Hate that, and not so nice. I never understood those, as that just shows low self-confidence. The more you allow a teammate to shine, the more your teammate will love you, and the more the work/group environment will flourish as a result! You are right! Leaders are always looking to train their replacement. More leaders follow in their wake. This is how a chain of command develops, and how institutions grow to be so big. A leader has a vision that other leaders can get behind and follow. Leadership come in so many levels where you lead individuals, groups of individuals often with the same disciplines and then group of individuals with very different disciplines. Each and everyone aspect requires different leadership, different public speaking abilities and different methods. Richard Branson has a column in Canadian Business and he covers a lot of his leadership philosophy used a Virgin. It’s quite an interesting read. I am sure you can read on it online. In the end, I don’t believe everyone is good at all kind of leadership, the best leader partners with others that complement their skills and the best leaders will know that. Yes, you are right. We should really try and identify people’s specialties and do our best to harness them. What do you think your strengths are? You pick your best post for the month and submit it to the forum. Then we have one person basically do a link roundup and post all the links. Then everyone that participated needs to copy all the links and repost them on their website…. Can you imagine how much traffic we would start getting with so many backlinks created with our chosen anchor text in our niche? If we even had 10 people participate I think it would help them get a lot of traction. What about 100 people? Maybe someone more knowledgeable about SEO will tell me why this won’t work, but it makes sense to me. Anyone can learn to be a leader because a leader is someone who has an inner leader. They lead from their hearts and minds. If they follow their heart they can be considered leaders. Leadership starts with being able to lead yourself. Once you can lead yourself you can lead anyone. I agree that all of us bloggers are leaders in our own right with our own sites. This is why the Yakezie Network is so powerful. We are a group of leaders already! The first Yakezie Challenge post was sub-titled “Creating Powerful Friends” for a reason. The reason has become quite apparent now! I’ve seen several of the things mentioned above. As everydaytips hinted at, a peer of mine at work is almost “too needed” in her current role, and even though she has the leadership potential for the next role up, her bosses have almost locked her in her role (and she hasn’t developed a successor either). I also agree with Jeremy that leadership starts with leading yourself. I would add that it requires an open mind, as the best leaders are those who can take feedback well, and adapt. And the top tier leaders are the ones who can read feedback without it actually being said – they feel what is going on and adapt their style accordingly. I work for a very big professional services firm and it has much the same philosophy. If anyone of us get hit by the metaphorical bus, then we can carry on seamlessly. But one key to this at both my firm and at McKinsey (and think Goldman Sachs as well) is that you have a set period when you have to leave. Our partners have to retire at 60 and many get out (or are pushed out) well before this. No one is in this for life; you make your contribution and then move on. But they continue to add back to the firm by being mentors, clients etc of the more junior staff. They just no longer have a financial interest or a say in running the firm. I agree that Yakezie is like a clock builder, but in order to make it work effectively everyone needs to have an exit time. Mine is when I get my Alexa ranking below 50,000. Seems a good round number. That way the more experienced members don’t crowd out the newer ones, but can still act in a mentoring capacity. Hmmm, interesting take! I view it differently. The more experience and higher ranked members there are, the more they can contribute to the community. Leverage is a powerful thing, and if we can leverage off the largest Members, I think we slingshot to the moon! There is A LOT of things we can do as a group, hence everybody can contribute. I don’t see crowding out, as we are like ants on one GIANT APPLE PIE! You undervalue your own leadership, bu I think part of what we created is a foundation so that we have many leaders would be both ready and willing to step up to the challenge. Hmmm. Is there a biblical analogy here? The first thing Jesus did in his ministry was start training others. He knew that for the Christian movement to transcend his own personal involvement, those followers would need to become leaders. 2000 years later, I would say his plan worked pretty well. Never heard the clock builder and time teller analogy before. I like it! Nothing wrong with spreading the love…and responsibilities! Joe, I’m totally with you on this one. A what separates a manager from a good leader is the ability to develop and motivate the people under him (or her) to reach their fullest potential. How does that apply to us? Well, we are hopefully the spark that will ignite our readers into changing their own lives. Those readers might go on to reach their own goals and motivate others to do the same. This is why I like blogs that both teach and entertain. I always find that the lesson that is best learned in the one in which you do not feel as if you are being taught. That’s a great way of looking at things. I totally agree that Apple is all about Steve Jobs and beleive there will be quite a raucous if/when he leaves. Companies need more than one strong leader to succeed. I doubt that Apple would fail if Jobs left but he’s perceived as such an integral cog in Apple’s success that there will definitely be some jumps and bumps when his Apple days are done. I actually enjoyed OB, but I really liked your analogy, and I think you could apply it to many facets of life beyond the corporate world. I like how you applied it to the Yakezie. Members and readers, what are some of your tips for effective leadership? I believe that incentives are important. If things are structured so that the “natural” action is beneficial for others as well as oneself, this is what people will do. I agree that in the Yakezie, everyone is a leader in a sense as well as a follower, and the incentives are such that it is a win-win to help others. What are some of the things you want to see more of from leaders? Transparency and visibility are always important. Can leadership skills be taught, or are people naturally the way they are? I think it’s some of both. Some people have natural charisma (not me, haha! ), but leadership skills go beyond just having charisma. There are many skills involved, and I think that they can be learned and built upon. What about creating about creating a hybrid between a Clock builder and Time Teller for the Yakezie? The Yakezie already has this with you as its defacto head, Sam. Nonetheless it is much more decentralized than your typical hierarchy, and I think everyone appreciates that their input is valuable and that they can make a real difference. Thanks for your thoughts Kevin. I think my OB professor was just not that inspiring, hence why I didn’t like the class too much. I’m trying to figure out a platform where everybody is empowered to be able to help themselves. I don’t want the voice of the Yakezie to be like the voice of Financial Samurai. It has to be a collective voice, which is why I don’t use the word “I” in any of the Tweets that go out via @Yakezie. This was a great post to read. I love analogies and imagery. While I hope your plane does not go down, I agree, this is a network of clock builders. I definitely look forward to taking some leadership rolls in the future once the school schedule dies down. Leadership for the Yakezie network, huh? Well, for one, while the idea of this network is awesome, if we are to build a conglomerating network of PF bloggers there should be something like an email invite to drive its members to come back from time to time. For example, I see that the most members that have ever been online at once is 37. Maybe once a month, the 3 admins (Time Tellers no doubt) should send out an invite via email to gather this network in a forum to talk about whatever desirable subject–I choose a progressive forum i.e. 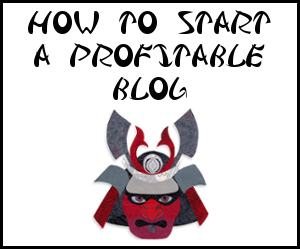 1st how to build an effective blog, 2nd using advertisements, 3rd reaching out through social networking, etc. Afterward, the most beneficial comments should be gather, made into a newsletter, and distributed to members so they can in turn distribute it to their readers. This will further increase the presence of Yakezie, and build a reputable and news worthy organization. An organization is about creating a structure of integration. And it benefits from distributing its brand beyond a simple banner. Just my thoughts. “For example, I see that the most members that have ever been online at once is 37.” Interesting, where did you see that? This is the number that I saw when visiting my Dashboard. The bottom of the page gives us a bunch of stats. This is also how I see that the majority of the post are done by the admins. I’m all about networking, but there has to be a better way. If one is going to commit to being a member of something, they should do so with the network that they are joining in mind as opposed to “joining” for their own selfish reasons — getting their blog noticed. But, what can we do? Oh, cool, I didn’t know about that. Thanks for sharing. Sounds like you have built up a great network yourself in the past and have experience with leadership. Please feel free to make what you want done happen, and let us know how it goes. I guess that your inference just hit me. I am now a part of the Yakezie network, which means that I have elected to share in the networks responsibilities to “get the word out.” So I suppose that I should recommend and follow through with my didactic diatribe. After all, you along with many others have done all of the leg work to put this network together thus far. And believe me I know, as a virgin blogger, that it takes time and energy away from our families and day jobs to do so. Definitely. Whenever someone writes a didactic diatribe as you mention, to do this and do that, it is great because that means the person writing should just do what they say! It’s awesome. Clearly from your first comment, you must be a leader of some firm or organization, hence we all welcome you to show is and teach us what you know as we can never know too much. Leadership is tackling challenges head on and having others follow you willingly into the battle. A leader doesn’t point at someone else to take over a project, their team will want to step up and volunteer, just so they could have the possibility of learning something from a man of your caliber. Nice comparison on clock builders vs. time tellers. I am learning so much from reading people’s blogs here I am mesmerized. I like your example on the clock builders and the time tellers; however, I am not sure if one can be so sure that Apple will tank with Steve’s departure. I suppose this is where Apple will be put to the test as all organizations do from time to time. One can make similar comparisons with Bill Gates and Warren Buffett. It is true that these icons are irreplaceable as no two people are the same, it is very possible that other emerging leaders will bring forth a new dynamic to the organization. This was a great post, something I had never thought of before. Steve jobs is a legend and Apple’s stocks would crash if something were to happen to him. Look at Starbucks that nearly fell apart when its founder left and he had to come back to save it. I think a true leader is able to bring out the best in those who follow, allowing them to also become a leader of themselves. I’m only new to Yakezie but it sounds as if you are doing a wonderful job of that.